Josh Hancock is an entertainment automotive expert with over 20 years of industry experience serving as a creative consultant for motion pictures and television. Known for his deep understanding of how cars permeate American pop culture, Hancock began his career working in Hollywood collaborating with directors such as Martin Scorsese, Francis Ford Coppola, Andrew Niccol, Mike Myers, Wolfgang Petersen and Steven Soderbergh while garnering credits on blockbuster films including Casino, The Rainmaker, Nutty Professor II, and all three films in the $656 million Austin Powers franchise. During this time, Hancock held the coveted position of in-house automotive consultant at New Line Cinema for eight years, overseeing more than 70 films and consulting with auto industry giants such as Johnson Controls, Bentley, Audi, Nissan, Ford, Aston Martin, Volvo, Jaguar, and Land Rover. His passion and expertise for identifying key opportunities for automotive brand integration led him to create, produce, and host his own television show called SHIFTING GEARS. A light-hearted and humorous look at automobiles and their roles in American culture, SHIFTING GEARS was quickly picked up by the History Channel and had a loyal audience of celebrities and car enthusiasts. It was this combined success that led to Hancock serve as co-host of the nationally syndicated Car and Driver Radio for seven years, lending his expert car advice, Hollywood anecdotes and relatable humor to the airwaves. 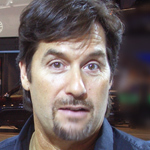 Most recently Hancock served as the Consulting Producer for the new digital series Designated Driver (Sony Television) and continues to advise many celebrities and high-profile personalities on growing and maintaining their private car collections. Hancock has been featured as a entertainment automotive expert on FOX, CBS, NBC, CNN, Inside Edition and on syndicated specials for ITV (on Reuters-TV and AP Radio affiliates) as well as in articles for The Los Angeles Times, USA Today, Boston Globe, San Francisco Chronicle, and Car & Driver.